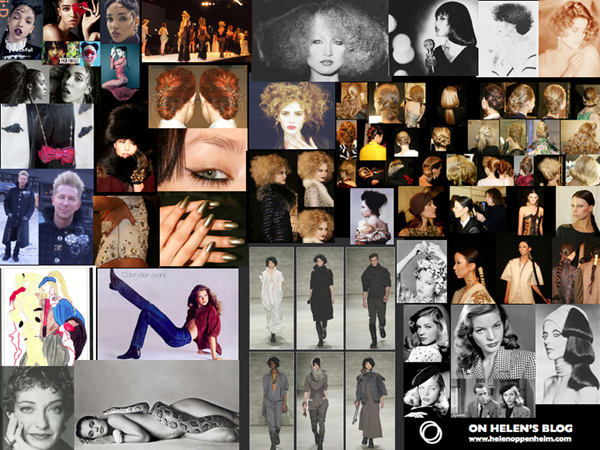 Posts Tagged "Inspirational hair photos"
Home » Posts Tagged "Inspirational hair photos"
Here are photos and collages on Helen’s Blog from July 19 to August 31, 2014. Inspiration from the past and present includes FKA Twigs, Fashion Weeks, a lot of iconic images. Close ups of all are on my Blog, with full credits and direct links to more versions and many how-to’s in the website albums. I am discovering many of you are not scrolling past Page One or Two of my Blog. Do remember that the photos from my Archives and way back when are still relevant today so just looking at Page One of the Blog guarantees you are missing out on all that is there for you which also includes many other blogs of interest too.